The US economy keeps beating expectations. 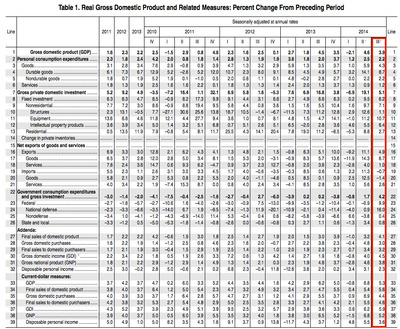 The first revision to third quarter GDP showed the US economy grew at an annualized rate of 3.9% during the quarter. Expectations were for the headline GDP number to fall slightly, to 3.3% from the initial 3.5% reading. That initial reading also topped Wall Street estimates. Meanwhile, Deutsche Bank economist Joe LaVorgna on Twitter said the inventory-to-sales ratio bodes well for future production, while LaVorgna also expects Q4 GDP to come in at 4.2%. The inventory to sales ratio remains near a record all-time low which bodes well for future production. 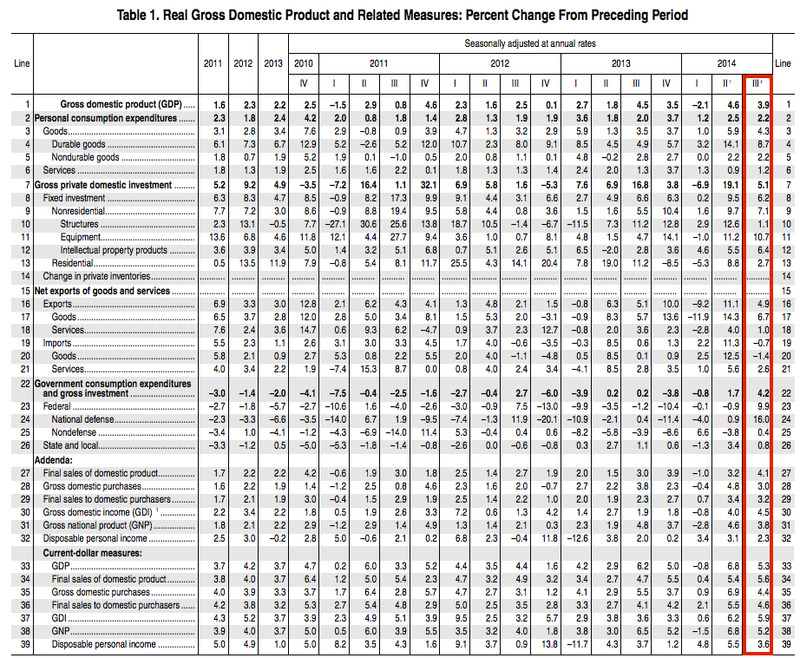 In the third quarter, personal consumption expenditures, or PCE — a measure of inflation — rose 2.2%. Expectations were for PCE to show a 1.9% increase in the third quarter. On a quarter-on-quarter basis, PCE rose 0.4% in Q3. Some of the standout numbers from the report include a 16% increase in defence spending during the quarter, and overall government consumption expenditures and gross investment rose 9.9% in the quarter. Nonresidential fixed investment rose 7.1% in the third quarter, with equipment investment rising 10.7% and investments in intellectual property rising 6.4%. Here’s the table showing the breakdown of the third quarter.